LONDON — Former British Prime Minister Tony Blair urged people to “rise up” in opposition to the U.K.’s departure from the European Union, in an impassioned speech Friday. Blair’s address appeared to be an attempt to marshal resistance to Prime Minister Theresa May’s hardline approach to the EU departure, known as Brexit. Britain’s governing Conservative Party is advocating what is referred to as a “Hard Brexit,” which would see the country leave the bloc’s single market and customs union. This will create barriers to trade, but supporters say that it is the only way the U.K. can take full control of its immigration policy. "This is not the starting point for an active fightback, because Blair is such a divisive personality"
Blair told the audience: "The road we’re going down is not simply Hard Brexit, it is Brexit at any cost." Blair led the U.K. from 1997 to 2007, winning three consecutive election victories for the Labour Party. His decision to involve Britain in the U.S.-led 2003 invasion of Iraq, however, was hugely controversial, eventually forcing him from office and making him a hate figure for many voters. Despite Blair setting out stall as a standard-bearer against Brexit, experts tell NBC News that his speech is unlikely to mark the start of a broad-based movement against the move out of the EU. 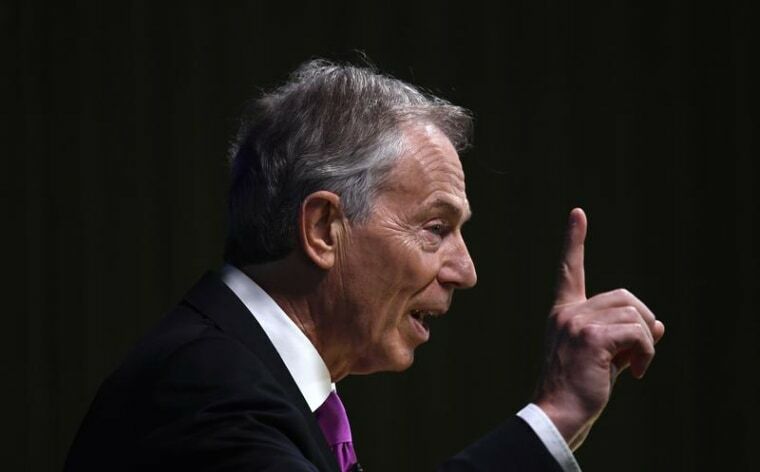 “This is not the starting point for an active fightback, because Blair is such a divisive personality,” said Professor Richard Whitman, head of the School of Politics and International Relations at the University of Kent. “Blair’s intervention shows the desperation of those who want to argue the case for the 48 percent [who voted to remain in the EU]. The fact that Blair has been deployed is perhaps indicative of the fact that there aren’t many other serious political public figures who are willing to put their head above the parapet,” he added.